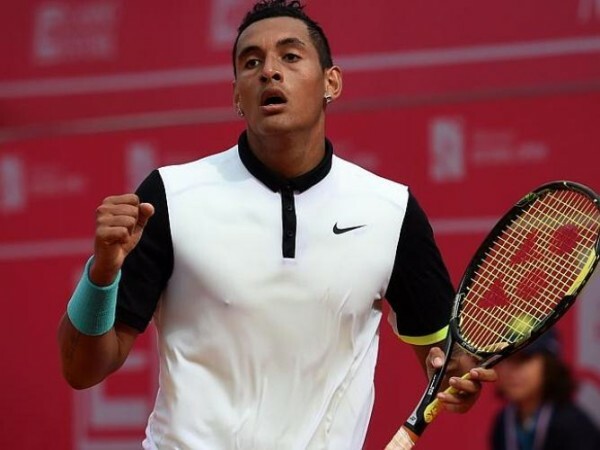 Australian rising tennis star Nick Kyrgios faced his idol, number 2 ranked tennis player Roger Federer and beat him at the 2015 Madrid Open. Federer did not go easily into the night as this exciting edge of your seat match lasted over two and a half hours. This match was a shocker as everyone was expecting and anticipating to see the Swiss maestro take on Rafael Nadal during this Open. Nick Kyrgios recorded the second Top 10 win of his career Wednesday night in a thrilling victory over Roger Federer at the Mutua Madrid Open. The 20-year-old Australian saved two match points in a dramatic deciding set tie-break to beat top seed and four-time champion Federer 6-7(2), 76(5), 7-6(12) in two hours and 37 minutes. Kyrgios saved match points on his serve at 6/7 and 10/11 in the third set tie-break. Federer made Kyrgios sweat, saving five match points at 5/6, 7/8, 8/9, 9/10 and 11/12. 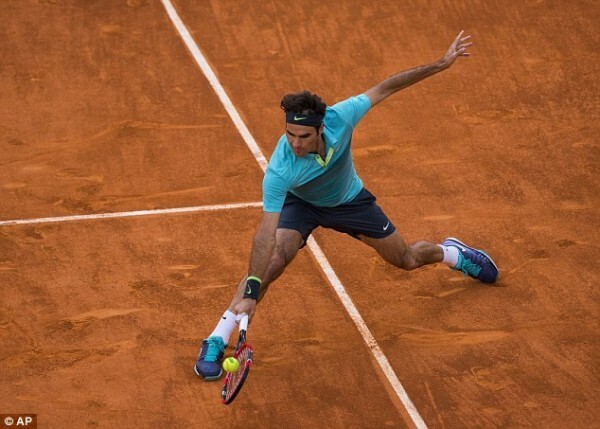 At 12/13, Federer mis-timed a forehand wide. Kyrgios becomes the fifth player aged 20 or under to beat Rafael Nadal (2014Wimbledon) and Federer, joining Mario Ancic, Tomas Berdych, Novak Djokovicand Juan Martin del Potro. “I was definitely thinking about the finish line, which is probably not the greatest thing, especially against Federer,” said Kyrgios. “He’s going to take advantage of that. Kyrgios broke serve in the first game, but Federer did not panic. With the young Australian serving for the set at 5-4, Kyrgios dropped to 0/40. Although Kyrgios saved two break points, Federer’s depth of groundstroke reaped dividends to level the scoreline. The top seed went on to run through the tie-break to end a 42-minute set. Federer maintained his momentum, breaking in the opening game and began to expose Kyrgios’ strategy for returning serve. But Kyrgios responded to lead 3-2 and continued to play with greater aggression. There were no break points in the deciding set. Kyrgios hit 22 aces to Federer’s 16 and both players won 78 per cent of their first service points. Kyrgios, 20, is the youngest player in the Top 50 of the Emirates ATP Rankings. He reached his first ATP World Tour final at the Millennium Estoril Open (l. to Gasquet) last week and is now 2-6 lifetime against Top 10 opponents. He will now play big-serving No. 16 seed John Isner. It was the first time that Federer had lost to a player aged 20 or under since the 2009 US Open final (l. to del Potro, 20 yrs, 11 mons). Last week, Federer captured the 85th trophy of his career – his third of 2015 – at Istanbul (d. Cuevas).